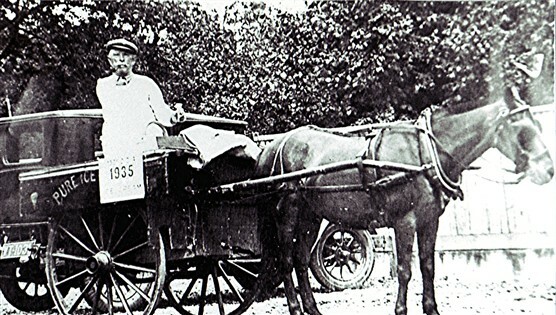 Jimmy Bolino was an Italian who lived in Hemel Hempstead and ran his ice-cream business from his horse and cart. He was a regular visitor to Redbourn and his ice-cream was very popular. He is seen here in the village in the mid 1930’s. My great grandfather l believe, Angela’s daughter.